Good morning lovelies! Last night I was browsing the web and saw that a few sites were having sales today. Since I am sure I am not the only lady looking for Christmas deals, I thought I would share. Enjoy! 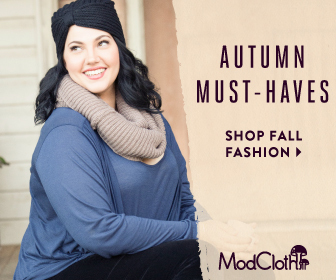 ModCloth's Pre Thanksgiving Event starts today at 12pm PST and ends 11/27 at 12pm PST and will feature 5 new styles at 50% off every day. Zulily is a great deal of the day site with fun Christmas finds. Most deals are 70% off too! Glasses USA is having a Thanksgiving sale. Replace those specs now at a great price! Hope this helps you in your holiday shopping! Some of these are affliate links, but oppionions are completely my own. I only link to sites I buy from myself. 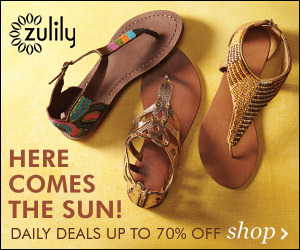 If you are linking to Zulily, you should mention that you get a credit if they sign up and buy something. I think transparency in blogging is very important!